Turtle Beach is one of the biggest names in gaming headsets, with a wide range of headsets that appeal to just about every gaming demographic there is. When it came time to launch their new range of licensed Star Wars gaming headsets to key press and retailers, the team at Turtle Beach contacted Merlin Events to create an evening that their guests would “truly remember”. The brief for this event was a cocktail party for 50 guests, with drinks and canapes, a space to deliver a presentation and opportunities for guests to experience the new products! As the event was launching a licensed Star Wars product, the new Movies at Madame Tussauds venue featuring the Star Wars walk through experience was the perfect location to host evening! 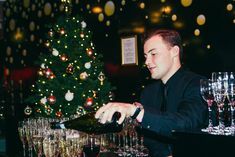 Merlin Events put together a team of event professionals to help deliver the event, including AV technicians, security, hostesses, cleaners and porters, and award winning caterer Food by Dish provided an excellent canape menu. On the night, guests enjoyed reception drinks in the Marvel ‘Hall of Heroes’ amongst well known characters such as Iron Man and Captain America before being invited into the 4D Theatre for a presentation of the new range on the big screen! Following the presentation, guests were treated to nine minutes of high octane 3D Marvel effects with added leg ticklers, water squirts, wind blowing and back pokers in the Marvel 4D show. Then, excitement built as they were invited into the all new Star Wars walk through experience to continue their evening! Created in close collaboration with Disney and Lucas film, Star Wars at Madame Tussauds is a unique, immersive experience starring extraordinarily life-like wax figures of the favourite heroes and villains of Star Wars Episodes I-VI. Visitors can explore a galaxy of locations, including the swamps of Dagobah, Jabba’s Throne Room and the flight deck of the Millennium Falcon. Within the immersive scenes, gaming pods equipped with Turtle Beach headsets were on hand for guests to experience the new range. Guests enjoyed a variety of delicious canapes from Food by Dish including Mini Lamb Burger, Hoisin Duck Pancake, Mini Smoked Haddock Pie, Grilled Halloumi Flat Bread and Bean Burgers to name just a few! More drinks were served, and memories from the evening were captured by the Merlin Events Social Media Photographer. “Most of our guests were big fans of Star Wars and we received some great feedback about the space and event as a whole. Everyone enjoyed getting to interact with the characters. 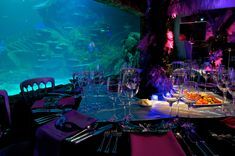 Would definitely recommend this for anyone looking for a venue to remember.” – Keith Hennessey, Turtle Beach Europe.